When I came across the Binary Fountain organization as a result of our mutual familiarity with the Commonwealth of Virginia, my initial thought was to view their offering through the lens of quantifying results. Specifically, by providing timely access to near real-time intelligence, their clients would be able to measure the success of a program after the fact. Seems like a reasonable approach, as Business Intelligence “BI” is after all leaving the cumbersome and confining realms of traditional ERP-centric platforms in which the extraction of needed information was an onerous task that warranted the moniker of “data mining.” However, and what is compelling about emerging BI solutions such as the one offered by Binary Fountain, is its ability to proactively influence decision-making through an intuitive “dashboard” technology that creates what I call a perpetual cycle of data verification. Let’s look at one actual real-life example with which we (within the procurement profession) can readily relate . 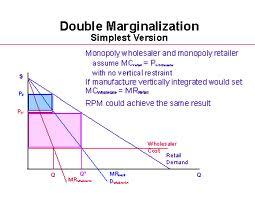 . . the utilization of Small, Women and Minority-owned suppliers. Historically, the greatest challenges associated with these important and necessary programs were at the points of initial engagement, tracking transactional activity and quantifying the distribution of business through an analytical lens that would not only provide verification of targets being met, but also the effectiveness and impact of the program on the enterprise as a whole. The ability to quantify impact in particular is important, as understanding the gains as well as identifying any potential losses will elevate these programs from ones of muted political correctness to that of a practical strategy. Given the aforementioned cumbersome processes associated with extracting data, many organizations found that initiatives centered on the engagement of Small, Minority and Women-owned businesses created more work than the results or returns warranted. This meant that the focus of analysis was limited to achieving what many felt were arbitrary “numbers” that in reality had little to do with the objectives of the buying enterprise as a whole. In other words, the program was the right thing to do politically versus being the smart thing to do financially. As a result, the term “set-aside” became a negative connotation of unearned entitlement. Nothing of course could be further from the truth, especially when you extend the quantifying metrics to include economic impact on a particular region or state. This of course is where the Binary Fountain “dashboard” and complementing range of intelligence tools come into play. By streamlining the data gathering process to one of a seamless back-end integration that becomes part of the original transaction process itself, means that the time-consuming practice of extracting, analyzing and synthesizing information has been virtually eliminated. The result is that the focus can be placed where it needs to be, which is on the establishment and subsequent measurable impact on real-world objectives thereby broadening if you will, the intelligence landscape. From here, program assessment makes the all-important transition from one of intuitive expectation (re it should be beneficial) with sporadic or incomplete data support, to one of conscious clarity (here is where it is beneficial) through the timely access to accurate intelligence. While I will leave it up to you to check out the Binary Fountain offering in greater depth through their profile page here on the Procurement Insights Blog, increased and reliable access to meaningful intelligence does create the confidence to pursue a strategy with a high degree of certainty relative to outcome. In an increasingly complex supply chain practice in which multiple and at times seemingly disparate objectives have to be incorporated into the decision-making process, Binary Fountain’s intuitive dashboard would seem to be a natural progression for your business.